According to NBC News, Stair worked as a sales manager at Genesee County Land Bank. He managed tax foreclosed houses for Genesee County (Flint sits within its borders). 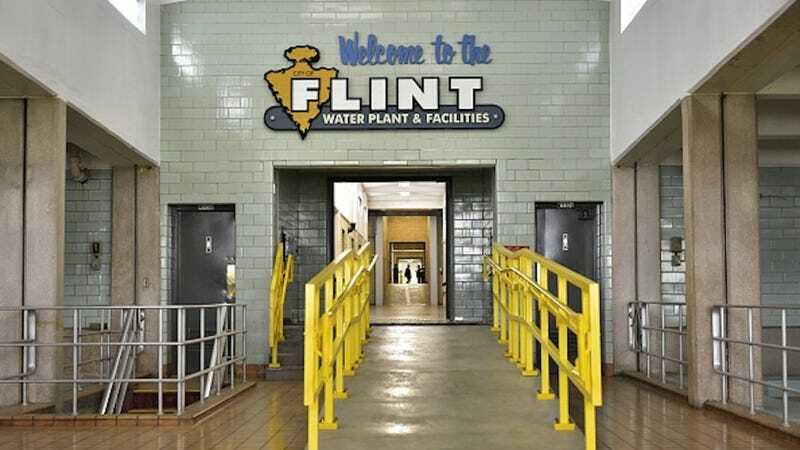 Thousands of Flint residents are currently in danger of losing their homes due to unpaid water bills—but even now, a year and a half after the crisis was brought to light, that water remains unsuitable for drinking. Water activist Chelsea Lyons recorded Stair after she and a colleague met him at a local bar. After two days of recording, she posted his remarks to Truth Against the Machine. Lyons is especially concerned with the ruthlessness of Land Bank as they deprive Flint residents of shelter without regard for the state of emergency that has imperiled them. On Monday, Michele Wildman, the executive director of Genesee Land Bank, issued a statement regarding Stair’s resignation and the virulent racism behind his comments. Demographically, Flint, Michigan is over 56 percent black. In December 2016, Republicans in Congress surreptitiously concluded the investigation into the city’s water crisis although the water remained unsafe and numerous city officials had been charged with criminal mismanagement.